This Is Underwear For Men. If you wear big and tall underwear, you know the challenges of finding high quality and stylish underwear that fits and supports your manhood. Traditional underwear bunches, chafes and rides up. Compression shorts are hot and smash everything. 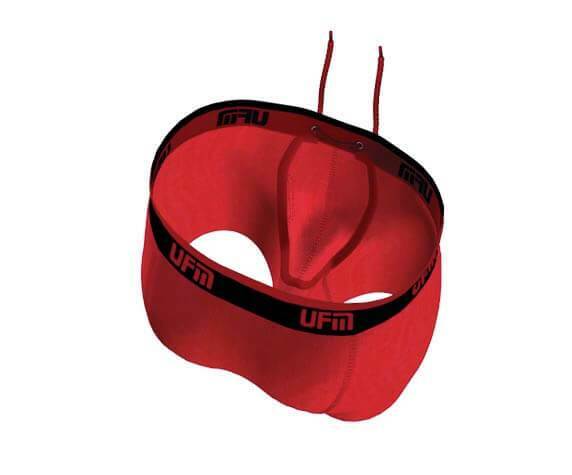 Underwear For Men is the only brand of men’s underwear that supports and isolates your manhood, eliminating skin on skin contact that causes chafing. Inside every style and generation of Underwear For Men, there is a US patented and Intl patents pending drawstring that adjusts to create a custom size pouch. Adjust the drawstrings tight for extra support or light for loose support. Our briefs and boxer briefs are so soft and breathable, you will forget you have them on. The pouch is made from a stretch mesh fabric that keeps your body cool and comfortable. Because the support is adjustable, it won’t lose durability in the wash. Our 2nd/3rd Generation line is available in sizes up to 5X. The new 4th Generation line is available in sizes up to 3X. Big and Tall Underwear sizes are available in the 2nd and 3rd Generation Boxer Briefs, up to 5X or 56-58” waist with a 6” inseam, and up to 2X or 44-46” waist with a 9” inseam. What is the difference between 1st, 2nd and 3rd generations? See these and many other questions answered on our FAQ page.